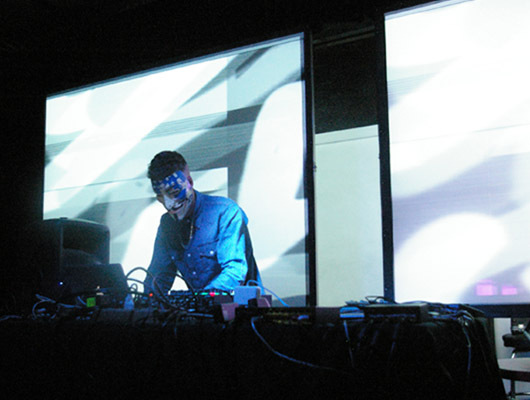 Zomby is an electronic artist that began his music career in 2007.Zomby keeps his identity a secret. He is capable of negotiating skillfully between genres, be it jungle, dubstep, rave, garage or whatever tag you want to put on it. Couple this with the numerous and incredible 12”s, EPs and remixes that have been aired over the past five years and it’s clear just why he’s built quite a heady reputation for himself. It’s been over two and a half years since he released his debut album, “Where Were U in ‘92?”, a rave record evoking that titular period, when Dreamscape, Fantazia and Universe flyers adorned bedroom walls, tape packs and pills became a national staple, and the Daily Mail were only hours away from their next denouncement. Using early-90s equipment like an Akai S2000 and an Atari ST, he captured the moment; “a history lesson, a depiction of a musical timeline that folds in on itself, and a revival that works because it approaches its subject with the idea that it simply evolved instead of died” (Pitchfork). Following a series of releases that switched from the melancholic to the menacing, “Where Were U In ‘92?” further marked the producer out as an unpredictable, underground hero. Among discerning listeners, anticipation for new Zomby material is now high but outside of him teasing fans with a few out-takes via the internet, there hasn’t been much to go by in recent times. That was until the end of last year when hauntingly beautiful new track, “Natalia’s Song”, appeared unannounced in a Burial and Kode9 mix for Radio 1. Catching people off-guard, it served to pour fuel on the fire and leave all anticipating what was to follow. Having signed a worldwide deal with 4AD, that wait is almost over. “Natalia’s Song” is being afforded a proper release on May 10th and is also included on his second album, “Dedication”, which is being released two months later in July. A wholly different record to its predecessor, Zomby returns from his hiatus with typical style. It is both a dark and absorbing listen that engulfs the listener, running between sparse electronics, techno hooks and minimal piano riffs. Making up for lost time, “Dedication” continues to put Zomby at a distance from his peers. By the time they’ve caught up, he’ll no doubt be somewhere else entirely.